If you have been following my blog for a while, then you might remember me doing Disney nails in 2014 and 2015. 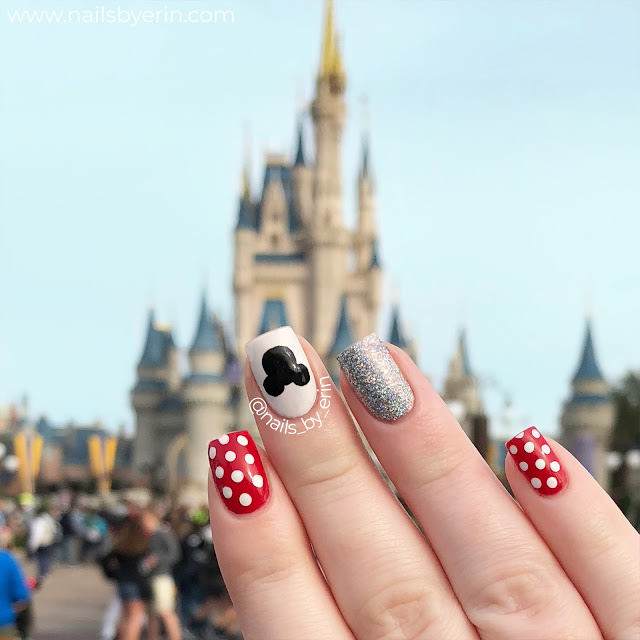 I finally got back to Disney World this week and I re-did my 2015 Disney manicure for the trip. Of course, I had to take this obligatory picture of them in front of the castle. Like I said, this is a re-do of my Mickey Nails from 2015. I really love these because they have the Mickey head logo, but also pull in a bit of Minnie with the white polka dot over red! This gorgeous true red is Color Club "Cadillac Red" and the silver glitter used on the accent nail is Starrily "Ultima". The polka dots and the Mickey head were done with acrylic paint to prevent smudging. 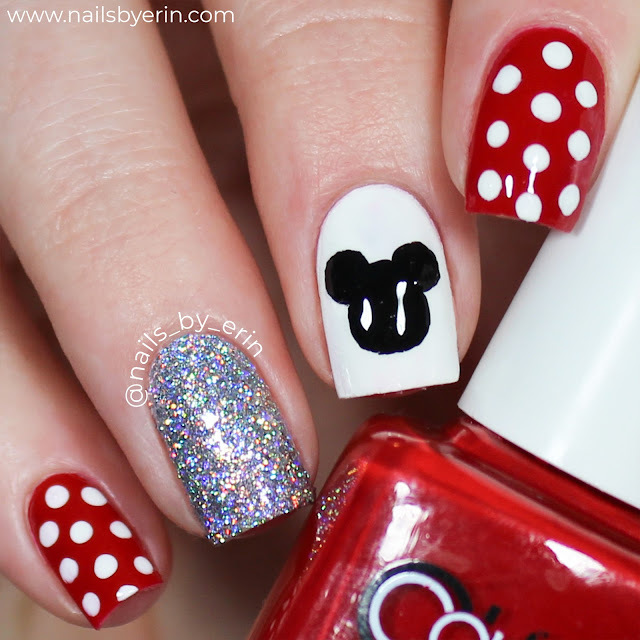 Do you like seeing Disney-themed nail art on my blog/YouTube channel? 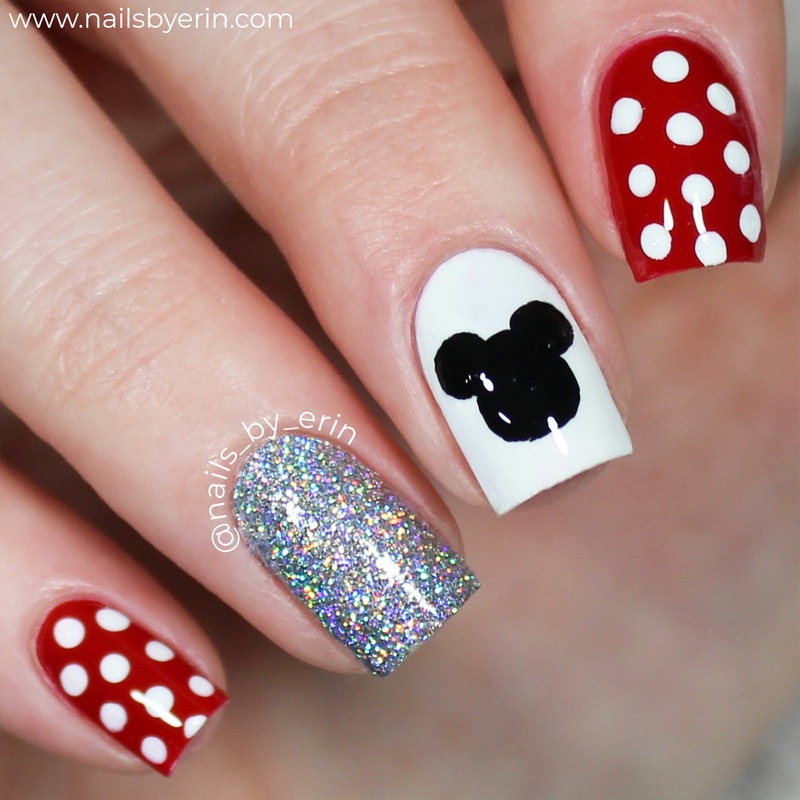 I've been considering doing a Disney movie nail art series.... And I'd be interested to hear what you all think. If you want to see how I did this manicure, then check out my YouTube tutorial here!